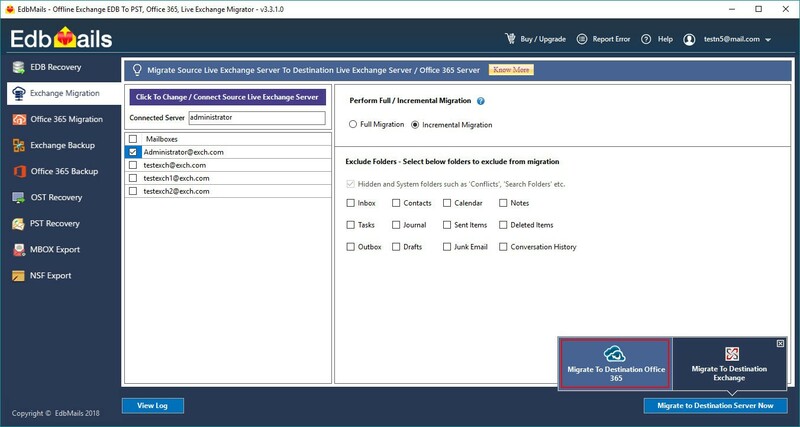 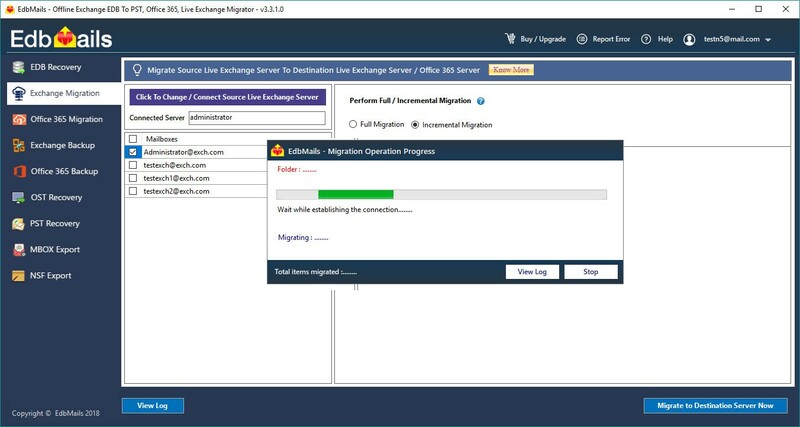 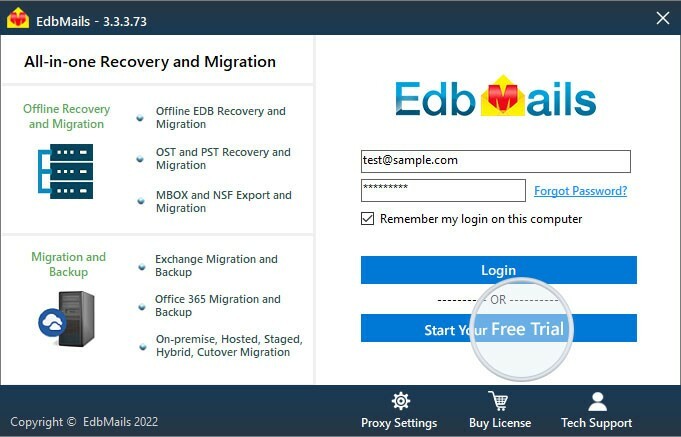 c. For Live Exchange (source) to Office 365 (destination) migration, set impersonation rights to one of the service account on both Source and destination servers. 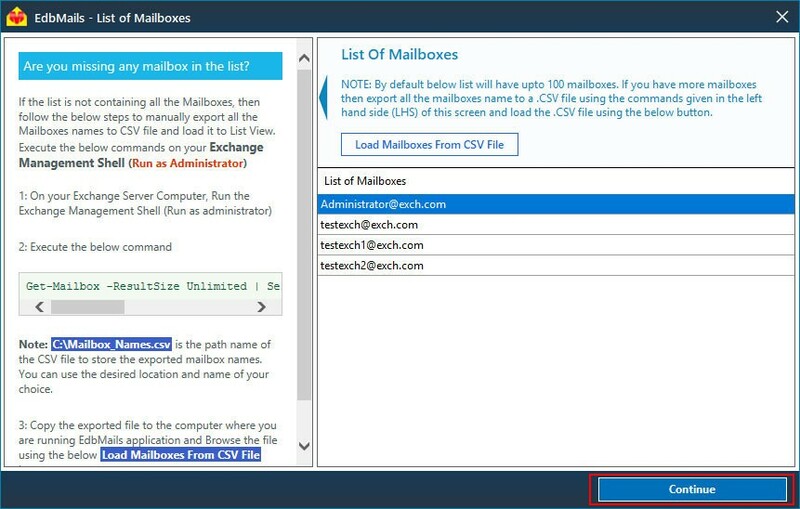 c. Select all mailboxes that you wish to migrate. 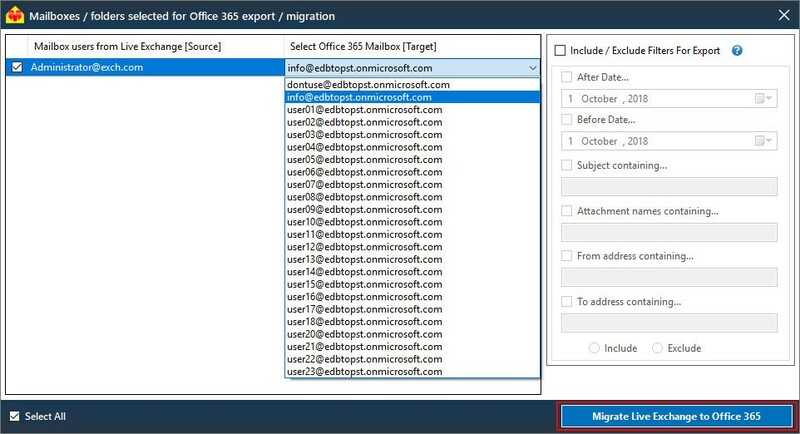 You can also select the folders from the mailboxes that you wish to exclude during the migration, in the right pane .Afterwards, select 'Migrate to Destination Office 365' button. 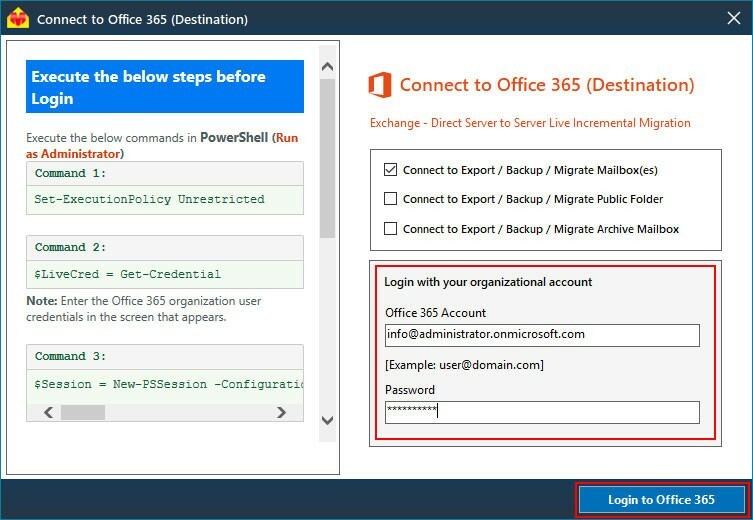 d. Enter the Office 365 account credentials to connect to your Destination Office 365 tenant and click 'Login to Office 365'. 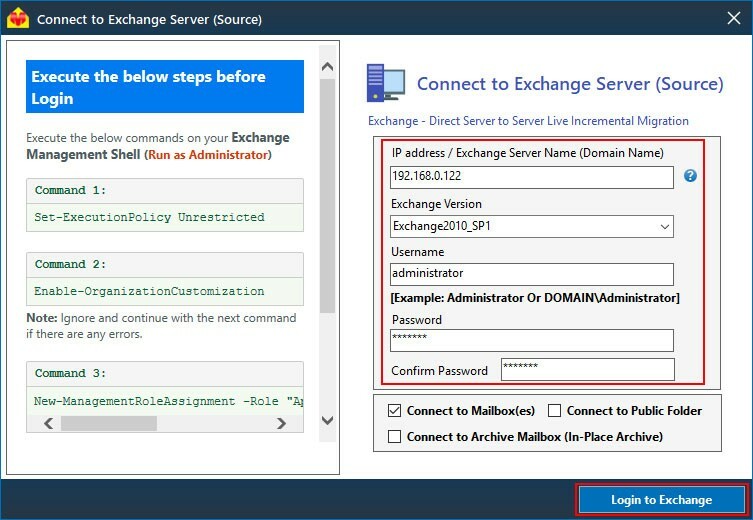 Before connecting to Office 365 make sure to set the impersonation rights to Office 365 user. 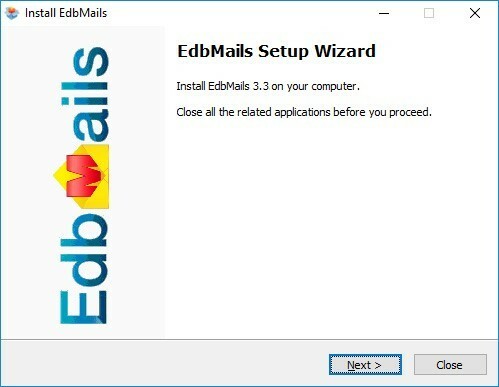 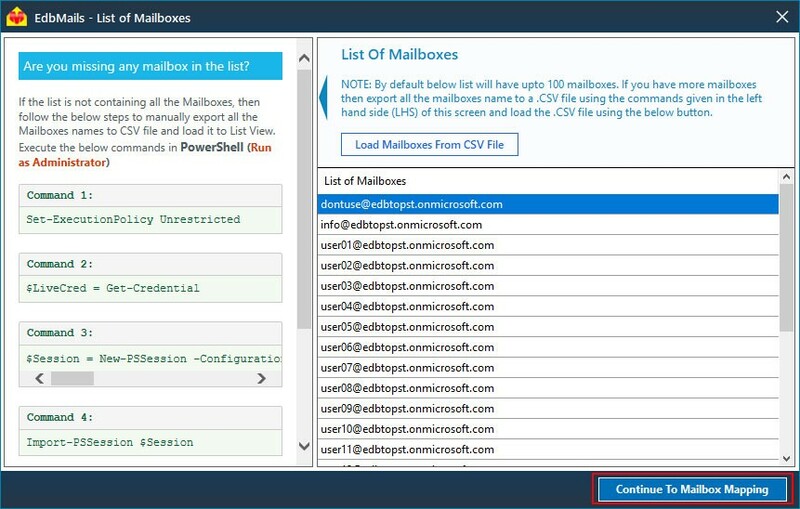 e. After successful login, verify all the required Office 365 mailboxes are listed and click 'Continue to Mailbox Mapping'. 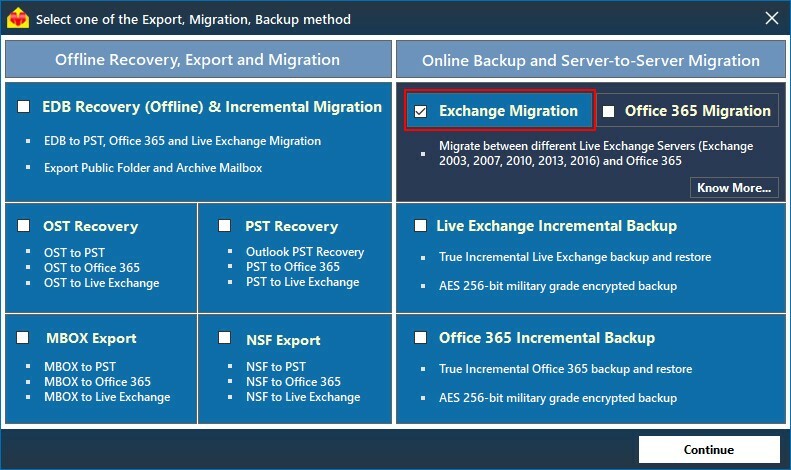 f. Map the source exchange mailboxes to requisite target Office 365 mailboxes and click on 'Migrate Live Exchange to Office 365'.